You could say Irving Berlin wrote the soundtrack to America’s twentieth century. 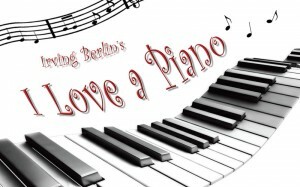 Everything from “White Christmas” to “God Bless America” flowed from the pen of this lyrical master, and both are featured in the highly entertaining show I Love a Piano at Swift Creek Mill Theatre. The show’s ensemble cast whirls through more than fifty Berlin hits in all, gliding seamlessly from ragtime to romance to mournful ballads and beyond. Characters Ginger (Georgia Rogers Farmer), George (Robbie Fuhrman), Jim (Matt Shoffner), Eileen (Cat Wheelehan), Alex (Durron Marquis Tyre) and Sadie (Grey Garrett) embody the popular culture of the decades dominated by Berlin’s prolific career, portraying carefree flappers, luckless wanderers, lonely GIs and Broadway hopefuls as the music careens though time. Memorable moments include Jim and Eileen playfully dancing through “A Couple of Swells,” and the easy, velvet-voiced chemistry of Alex and Sadie with “You’re Just in Love.” And the three ladies of the cast give a performance of “Anything You Can Do I Can Do Better” that is pure comedy gold. Garrett is a standout, with a smooth, rich voice that brings Judy Garland to mind. Her rendition of the bluesy, heartbreaking “Suppertime” was a riveting high point of the show. I Love a Piano is just delightful from beginning to end. 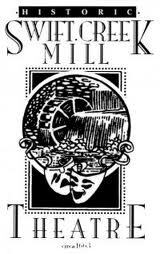 Catch it while it’s still around, through Dec. 29 at Swift Creek Mill Theatre. Previous articleMadeline’s Christmas is a Holiday Treat!